CEOs and senior executives often find themselves in between jobs for various reasons. If this describes you, then you may be wondering what the best game plan would be for the time you spend between positions. One very useful idea that can be tailored to any situation is to try your hand at executive consulting. First of all, because you can. As a senior executive, you undoubtedly have skills in your line of business or industry sector that are of high value to others. As a consultant, your overhead can be quite low. You can use your home office with state of the art telecommunications and supplement that with a virtual office arrangement. Virtual offices can be hired in most US cities, to give you prestigious office address for correspondence and access to meeting space on an as-needed basis. Even creation of a website for your consulting business is quite cheap in comparison to the potential benefits you could derive. Why not take advantage of that during this interim period? There are potentially a number of benefits to consulting between full-time positions. As mentioned further below, these benefits include adding to your skills, staying current, expanding deal flow, expanding your runway and even enhancing your bargaining position in some full-time executive job negotiations. Executive consulting is an excellent opportunity to side-step into a line of work that is different from, though presumably related in some way to what you have been doing up to this point. This is especially worthwhile if you are currently constrained by a non-compete clause related to your previous position. You get to test the waters in a new area with little downside and possibly expand your resume considerably if you find that you like it. In addition to an opportunity to experiment, this is also an opportunity to invest in your career. It is a chance to take assignments that will add to your skill set, to keep current and to sharpen your skills. This could all have the effect of adding skills and qualifications for the next position. Additionally, consulting gives you the chance to talk about something new and recent in job interviews for full-time positions. Because you are consulting, you do not appear between positions. You are at work and often appear more attractive because of that. By going into consulting, you might potentially expand the number of opportunities for which you are eligible. You can continue to interview for full-time positions referred by recruiters, but with consulting, you now offer more flexibility to potential employers. Now employers can hire you for short-term assignments and temporary work without making the commitment to a full-time position. While consulting gives you employment between positions, you can also aid employers seeking assistance between permanent hires. Your executive consulting may well find you your next job when you are brought in as a consultant to advise a company, only for them to realize that you are precisely the person they need to retain full-time. Think of consulting as a paid opportunity to showcase your abilities to your next company, and to meet with high-ranking management without the pressure of an interview. In addition to the company learning about you, you get to see it operate up close to decide whether you would be interested in working there if an offer was forthcoming. Thus, your work with the company can in effect be paid due diligence for you to learn if you want to work for this company. While some people will enjoy consulting more than others, you get to choose how much you do and earn while waiting for the next challenge you take on to materialize. Additionally, many executives have families and significant financial commitments, with limited savings to fall back on. Hence, it can be very difficult to go a long time without a new full-time permanent position. Consulting can extend that runway. With money coming in from consulting, the financially pressed executive can wait longer before accepting the next position and not have to take the first position offered. As a consultant, you are the experienced “hired gun” and can charge a good rate for your services. So, consulting can be quite lucrative and thus carry you over until the right permanent job opportunity comes along. Consulting can also help you in reaching the employment terms you seek. In cases where you like the company and an attractive position is offered but is not offered on the terms acceptable to you, consulting offers you a chance to turn down that offer but still potentially keep the opportunity alive so that potentially it might be sweetened in the future to be acceptable to you. Because you have an active consulting practice, you are in a position to gracefully decline the offer stating that at that time you prefer to continue consulting. If you are consulting with the company that has made the full-time job offer, they are continuing to get services from you. At some later date, that company may come back and make you an offer on terms you cannot refuse. 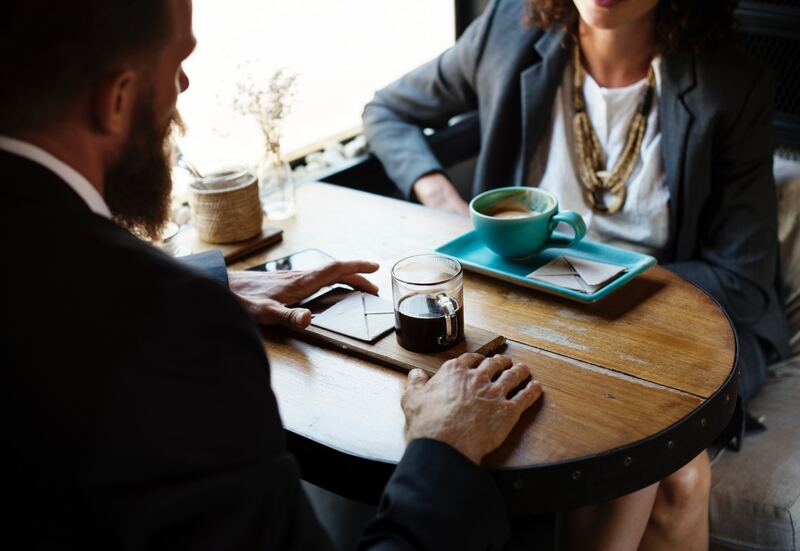 The best way to establish your consultancy is word of mouth using the powerful contacts you already have, and to approach it like any other business that needs to generate buzz and demonstrate its value to potential clients. 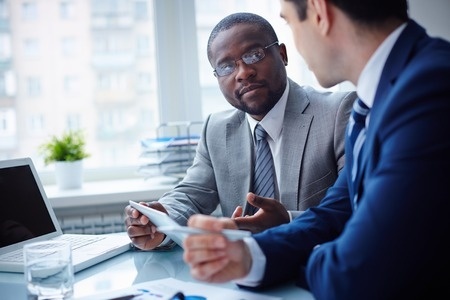 Here are some tips to help you take your first steps into executive consulting. Value Proposition – Do a self-skills assessment (look in the mirror). From your considerable business experience, what skills, what edge can you bring to clients? Target Market – Your target market for your skills, and your marketing and sales plan to penetrate that market and sell your services to prospective target clients and customers. Brand & Domain – Rather than just calling your consulting business “Smith & Associates”, choose a brand name like “AccountTemps” that suggests the service you offer and might be easier to remember for those who don’t already know you. You should pick a brand name, not already in use, for which you can get a web domain now and later trademark. Website – Establish a website that lays out your services and value proposition, gives examples of past achievements, testimonials from those you’ve worked with and your contact information for inquiries. Business Entity – Create a corporation or LLC, not just for the tax benefits that may be obtained, but to demonstrate your commitment to consulting, even though you and I know you would take a right permanent full-time job if offered to you. Billing / Compensation – Your business model. The fees, commission, cash/stock you are to be paid for the value you bring to your clients and customers so that this is both highly lucrative to you and also a great payback to your clients and customers. If you do go through all or many of the steps listed above and do establish a viable executive consulting business, this is not a business that you should easily give up even after you take a new full-time permanent position. In today’s turbulent business environment, CEO and senior executive positions thought full-time and “permanent “are often of relatively short duration, even when you achieve great success in the position. The company might be acquired, it might not succeed despite your best efforts, or a new CEO or chairman may come in who wants to clean house. It’s important to stay agile. A successful consulting business that you own can be your refuge between positions and, as said, well position you for the next full-time opportunity. Additionally, over time, you might add other colleagues to your consulting business, so that in time, with a good website, brand name, and clients, this consultancy business of yours might even become a marketable business asset you could sell when you are ready to retire. Does keeping your consulting business hamper you from taking a new full-time position? It could …but it shouldn’t. In negotiations, your executive employment attorney should provide that you will devote “substantially all your time” to the new full-time position, not “all your time”. Your new employment agreement can recognize that you will continue to have your consultancy but perhaps not seek new clientele and that, in any case, your consultancy work will neither interfere nor conflict with your new position. Most companies, if they want your services, will accept that concession and many will recognize the benefit of information you bring into their company by outside contacts from consulting as is also the case with your being a member of outside boards. This article was published in CEO World Magazine on March 27, 2018. I have represented CEOs and senior executives working for companies in Massachusetts, elsewhere in New England and across the country, and I am available to answer all of your important questions. Contact me, your attorney for executive employment agreements, at radelson@engelschultz.com or call 617-875-8665.